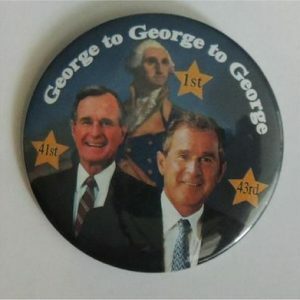 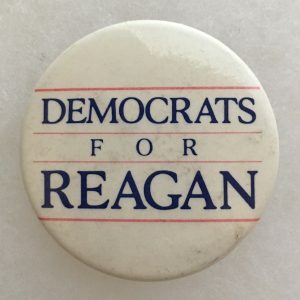 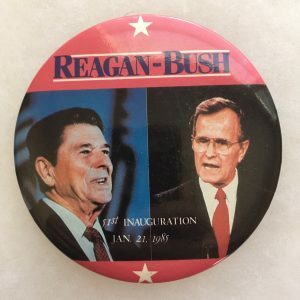 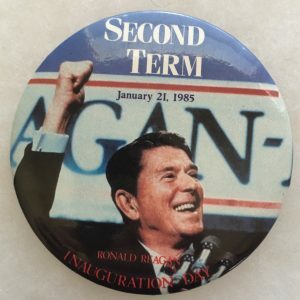 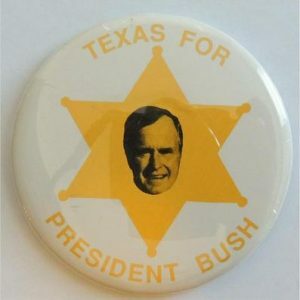 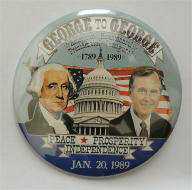 George H. W. Bush campaign buttons were used In 1980 for the Republican nomination for President. 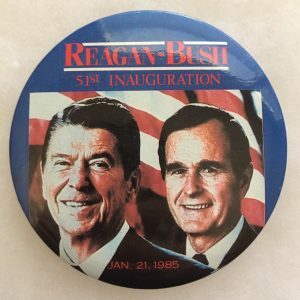 He lost, but was chosen as a running mate by Ronald Reagan. 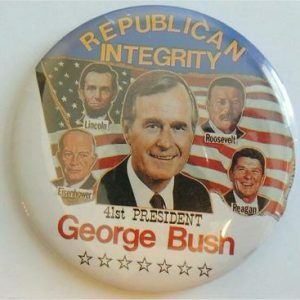 As Vice President, Bush had responsibility in several domestic areas, including Federal deregulation and anti-drug programs, and visited scores of foreign countries. 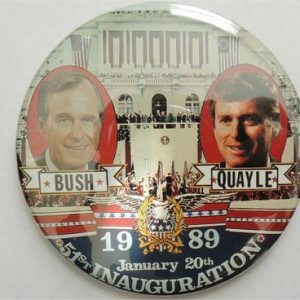 In 1988 Bush won the Republican nomination for President and, with Senator Dan Quayle of Indiana as his running mate, he defeated Massachusetts Governor Michael Dukakis in the general election.